When children enter kindergarten, they take their first steps into society. 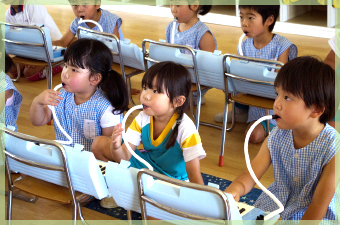 At Nakamura Shirayuri Kindergarten, we respect the independence and creativity of each child. Through our daily interaction with the children, we encourage them to think for themselves and to learn to accomplish things on their own.We believe this is the best environment for the child to develop both mentally and physically. By helping each individual to develop their own personalities, we endeavor to nurture globally-minded children. Please join us in raising your children to meet their future challenges. All of our kindergarten staff (teachers, office staff, kitchen staff, bus drivers, etc.) work together to help the children reach their full potential. 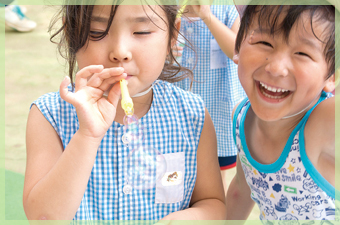 At Nakamura Shirayuri Kindergarten we respect each child's individuality and nurture each child's development appropriately. 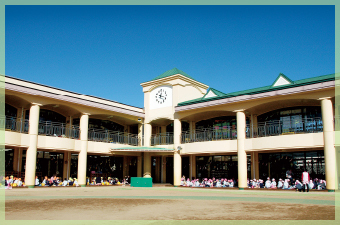 We take pride in our long history and in our progressive curriculum which we continually strive to develop and expand. 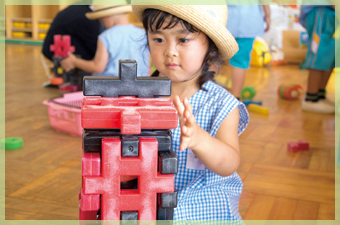 By nurturing each child's individuality and creativity, we facilitate their healthy development. Also, by creating an international environment for the children from an early age, we are dedicated to providing a unique service. Below is a brief summary of the history of our Kindergarten. New building constructed on the east side of grounds. Kitchen to prepare hot lunches completed. Start serving lunch in kindergarten. Construction of indoor heated-pool completed. Phase 1 of construction project completed. Phase 2 of construction project completed. Phase 3 of construction project completed. Construction of day care facility completed. Purchased 1,000m² field for planting vegetables. Construction of Swimming Pool Building completed. Construction of Big Hall completed. Take Higashi-Odori and head towards Ami-Machi. 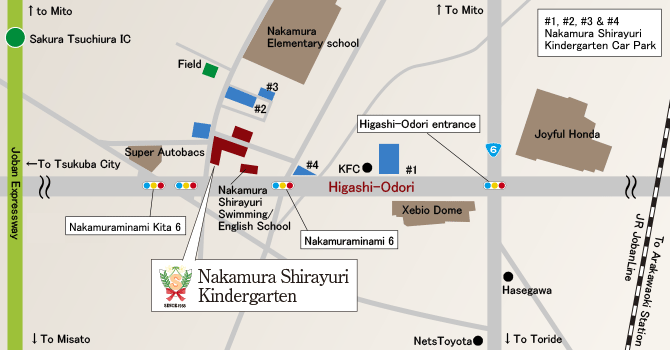 After passing the kindergarten on your left hand-side, continue on for about 200m until you see KFC on the same side. The car park is just past and beside KFC. Take Higashi-Odori and head towards Tsukuba. About 600m past Route 6 you will see KFC on the right-hand side. Turn right there, crossing Higashi-Odori to enter the car park which is beside and just before KFC. Copyright © 2016 Nakamura Shirayuri Kindergarten All Rights Reserved.